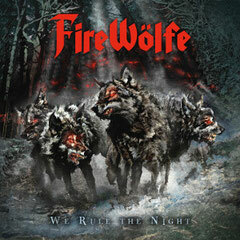 US Metal act FIREWÖLFE will release their second album entitled "We Rule The Night" through Limb Music on October 31st. The band was formed out of a conversation of two guitarsts Nick Layton and Paul Kleff in early 2010, and currently members are David Fefolt (Angels Of Babylon, Hawk, Masi) on Vocals, Nick Layton on Guitars, Jay Schellen (Hurricane, Asia, Circa) on Drums and Bobby Ferkovich (Powertrain, ex-Heir Apparent) on Bass. The band has released their self-titled debut album "FIREWÖLFE" in July 2011, the Japan version was also released and earned great reviews. "We Rule The Night" contains ten songs of heart-pounding, guitar-shredding, fist-pumping and melodic metal anthems, and sounds like a tribute to the great times of the Hollywood Strip and countless legendary bands in the 80's. 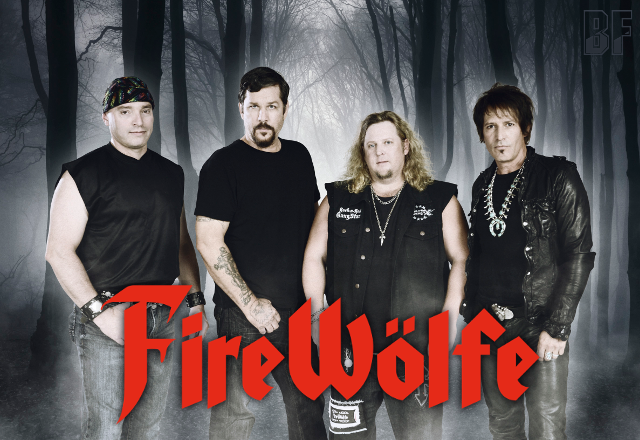 FIREWÖLFE is offering music of such band as Icon, Rough Cutt, Dokken, Malice, Ratt and Eden with a full blast of guitars. This album was mixed by Jay and John once again in Las Vegas, mastered by genius Maor Appelbaum (Halford, Malmsteen) in Los Angeles and the cover artwork was created by Eliran Kantor (Testament). 06. Who's Gonna Love You?